The weather has turned cold, deeply cold, the sort of cold that chills you to your bones. Every year it sort of sneaks up on me, one day it’s 75 and sunny, the next I’m staring out the window and flakes of snow start falling from the sky. Winter is magical, isn’t it? It’s all stark landscapes, bare branches, which are beautiful in their own right, but when that snow falls, everything changes. A winter wonderland, indeed. What I love most about the change of seasons is the change in the kitchen. Out goes the salads and light fare and in comes the soups and breads, best eaten bowl in hand. Heavier, richer, it’s what I enjoy the most. Tonight we whipped up some tasty soup and along with it I made up this jalapeno and cheddar cornbread. It’s so delicious and would be perfect with lots of soups and stews! Turn on your oven to 400 to preheat. Grease in the inside of a cast iron pan (or cake pan), place in the oven for about 15 minutes, just so it gets hot. Be sure to not let the oil burn. In a large bowl, combine flour, cornmeal, salt, baking powder and baking soda. In another bowl, combine butter, egg and buttermilk. Pour milk mixture into the flour mixture, along with cheese and jalapenos, if using. Stir lightly, only til just combined. Don’t overwork the batter. If there are a few lumps, that’s fine! Remove pan from over, carefully. Pour batter into the pan, return to oven. Bake for 20-25 minutes, or until a tester inserted in the middle comes out clean. Anything remotely having to do with cornbread and cheddar excites me. Yum. My two favorites cheddar and jalapenos!! YUM! 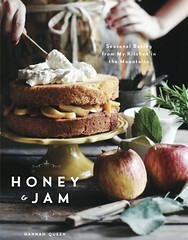 why do you have to post such delicious looking goodies that I read when I'm at work and nowhere near a stove? It is very annoying that I cannot instantly bake these delicacies on the spot and must wait a good few hours to get to one! Hannah, I have to admit that until now, I have never tried cornbread, but somehow your gorgeous picture is telling me is time to do so. I´m thinking how to substitute the all purpose flour for a gluten freen flour. Any suggestions? @heidi - i'm not sure, i rarely work with gluten free flours. my friend lauren from celiacteen.com recommends using a mix without bean flour in it though. Hi! 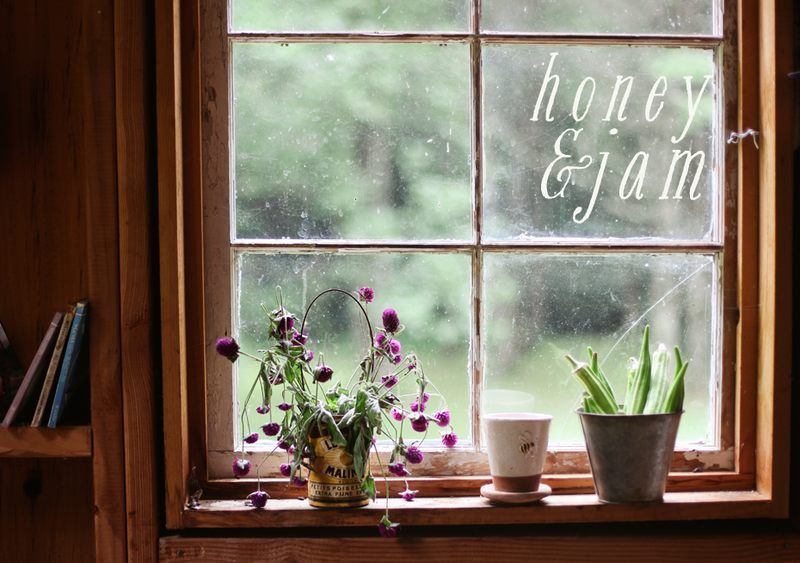 Just discovered your blog through a series of clicks and I love your photos (AND the recipes). They both have such a warm feel to them. Mhmm Girl Fren, you know it! I be thanking that it's mad hot up in herrr. And now- it's mad cold up in herr. Now, weahs my corn bread? My Dearest Friend Hannah, I absolutely agree with your thoughts about it getting quite chilly around this neck of the woods. Shiver me timbers- it's cold. Oh, how I can go for a decadent slice of your scrumptious-looking jalapeno and cheddar cornbread. Oh boy do I love cornbread. What a beautiful mix of flavours in this one Hannah. @Heidi, Hi! I might try doing equal amounts by weight of sweet rice flour, tapioca starch/flour and millet flour, with maybe 1/2 tsp of xanthan gum? That is, unless you have a go-to mix which you love. Best of luck :). I really like this cornbread. I like it when it's a little spicy! This is the perfect accompaniment to a steaming bowl of soup - great recipe! Looks so invitingly cozy! Love to make chili with eggplants in winter time. This looks like the perfect pair to go with it. Gorgeous! I love the lighting!! Beautiful! I still need to try a cheddar/jalapeno cornbread and this may just be the motivation I needed. Sounds divine with a bowl of soup! I agree 100% -- winter is magical. There's just something cozy about the house being a bit chilly & having to dress warm and snuggle in blankets. 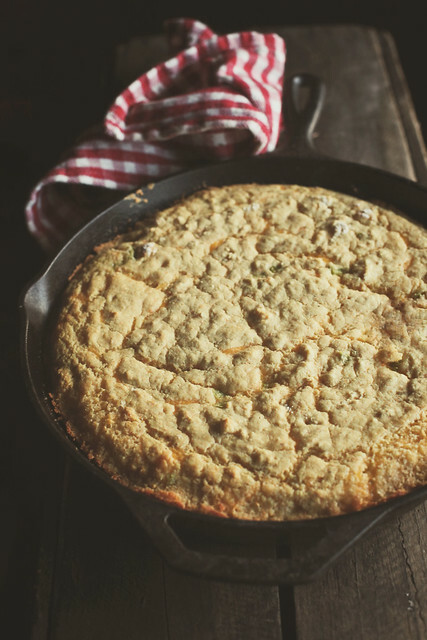 Skillet cornbread has been on my cooking to-do list for too, too long. YUM. Not sure if there's anything better than cornbread and soup. Love the addition of cheddar and jalepeno. Holy yum! I love cornbread in a cast iron skillet, and totally agree pre-heating the pan makes all the difference. We add our oil just before the batter (to keep it from burning) which always makes this crazy-great crust, as the cool batter hits the spitting-hot pan. Looks yummy...perfect with a pot of simmering soup...miss you on tumblr! Goodness that sounds and looks so good! I like the jalapenos kick in the cornbread, this is will definitely try! Winter is magical yes, I was walking home late last night looking at all the lights on the houses and the fresh snow and was thinking exactly that too. Hannah, what a beautiful picture and amazing cornbread. I love that you added jalapeno. It must taste super delcious! I love cornbread and this spicy, cheddar cheesy version is right up my alley! Winter is lovely. I love the snow and quiet of it all. And, soup + spicy cornbread? Perfect for a wintery night! Looks divine. I'll be including this on my fave list. this looks so delicious, I do love your blog! I really love your pictures because I feel like being transported back in our farm with my whole family. Yes, it's so chilly today at 4 degrees and this indeed is a great for any soups. 1/4 diced jalapeños - does that mean 1/4 cup or 1/4 of one jalapeño, diced? Looks yummy! I haven't braved cast iron...scared! gluta drink dan glucox adalah minuman pemutih wajah herbal terkemuka yang sedang naik daun.